Recently acquired these two blades. One 24" and one 28" diameter. Looks okay on my end. 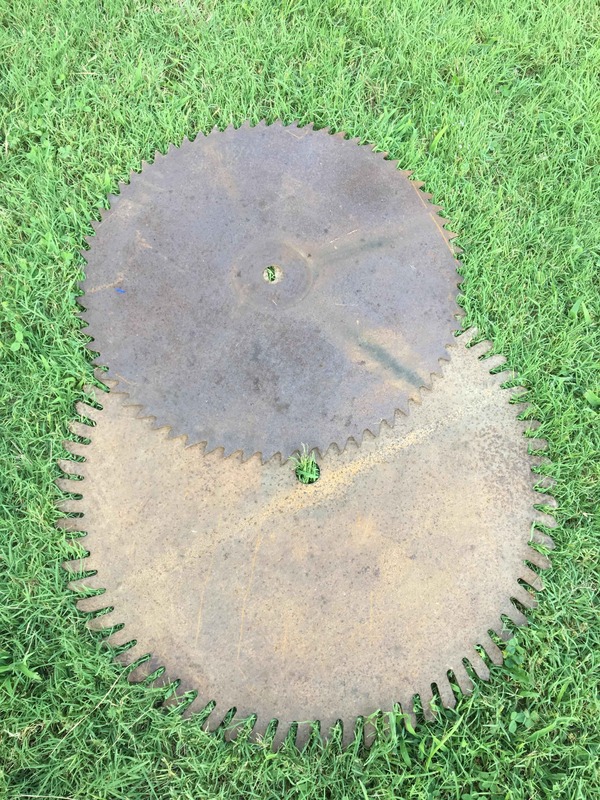 Nice saw blades to boot. A few knives live in those. It's not working for me. All I see is grass and sawblades. It must be broken. Pic should be of the kephart I assume? LOL! Those sawblades are easy - just grind away everything that doesn't look like a knife. I cut out 4 Kepharts from one of the blades. I hope to fine tune my convex grind. I need to slow down and get me a pic host. Imgur seems to work OK for me .........after YellowYak lead me through the maze. Take the plunge, Creek.....if I can do it, ANYBODY can!